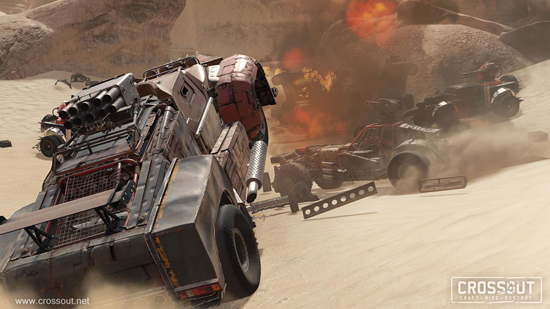 Announcing the launch of the post-apocalyptic Action MMOG Crossout, available beginning today as a free download on Windows PC, PlayStation 4 and Xbox One. 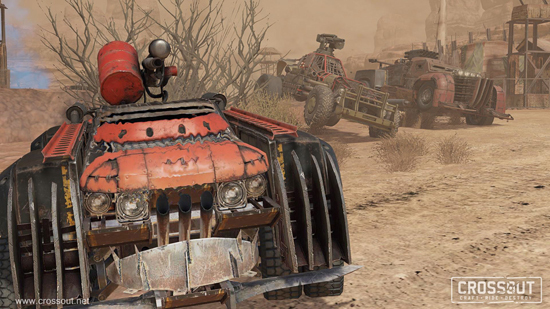 Crossout allows players to craft never seen vehicles using anything Earth’s vast post-apocalyptic wastelands offer. 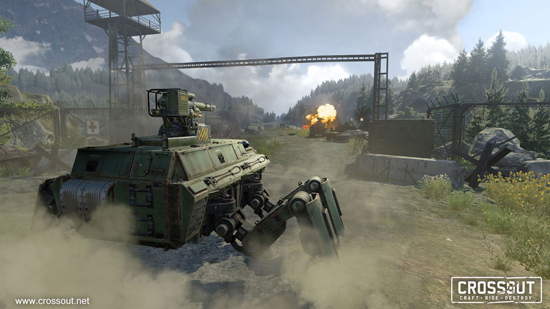 There are a countless number of parts available for vehicle customization, from trusty objects of the past, like rusty doors, chainsaws, and cabins from old cars, to the ingenious inventions of a new generation of engineers that grew up in the post-apocalyptic world, such as combat drones, stealth generators, automatic cannons, and much more. Complete creative freedom without class restriction allows for the creation of vehicles that are as individual as their creators, perfectly suited to their preferred style of play. 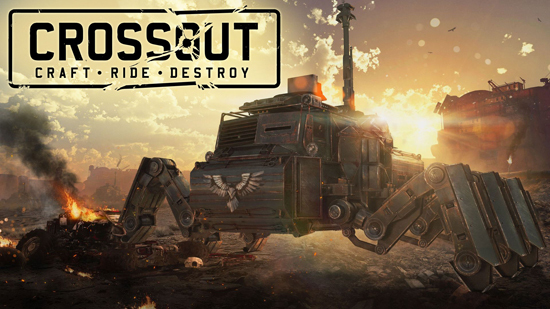 The world of Crossout is home to distinct factions players can join, each with a different way of life and combat style. 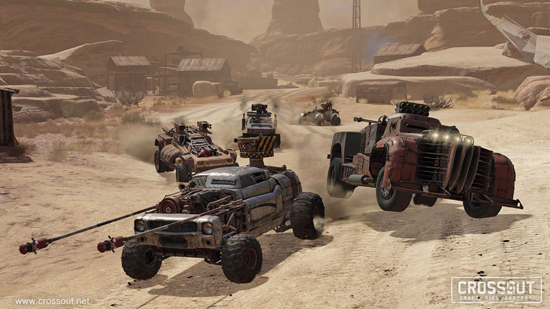 Examples are the raging ‘Lunatics’, a loose group of individuals that prefer fast cars and close-quarters combat, or the ‘Nomads’, enigmatic characters that wander the wastes in the search of new technology. 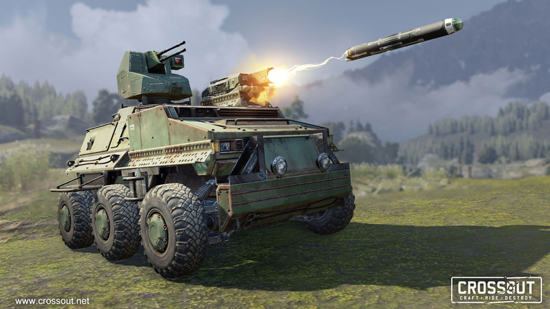 Today’s launch marks the release of a fifth faction, the ‘Steppenwolves’ - former military armed with a tactical approach, well-armoured vehicles, and long-range cannons. 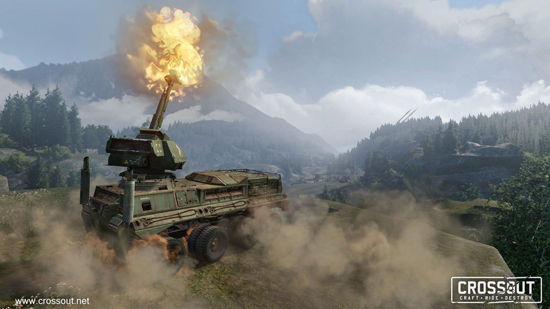 They add even more parts to the game, including mechanical legs that allow the creation of massive artillery platforms. In the future, fans can look forward to the release of addition factions with unique mechanics, armaments, and items. 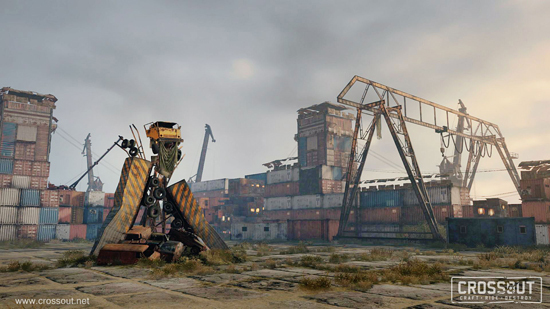 The battles in Crossout will take players to many different corners of the wastelands, starting from abandoned factories to dried-up riverbeds and destroyed cities. 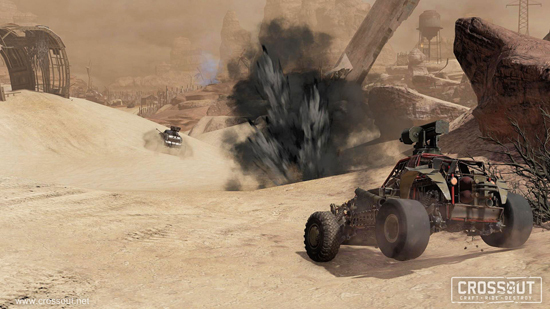 For launch, fans can enjoy new environments such as desert landscapes, deep canyons, and fortified settlements, where players will face exciting PvP action and PvE missions. In their quest for resources and dominance, players will attack settlements, defend merchant convoys from raiders, destroy oil rigs or try to defeat Leviathans, gigantic monsters of steel created by other players. In between battles, players can take a break in the new ‘Race’ mode. It is a downhill race for first place without the use of weapons. 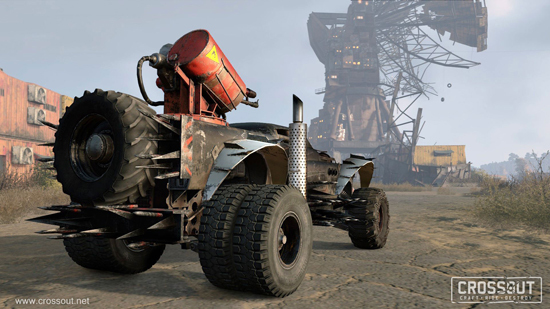 There are several ways to earn the parts you need to create your perfect vehicle in Crossout. 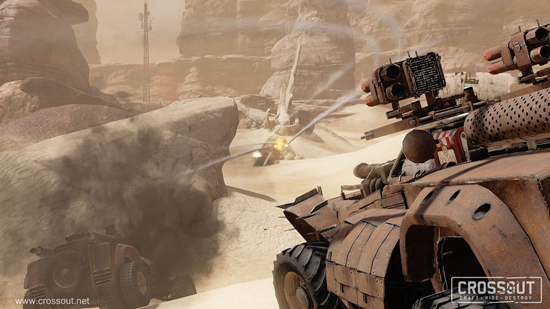 Earn loot in PvP battles or PvE missions, craft new equipment with the help of your faction, or purchase the desired weapons and car parts on the open in-game market, where supply and demand is entirely controlled by the players themselves. Earn coins to use in the market by selling surplus loot and resources, or restock your balance through the game’s store. 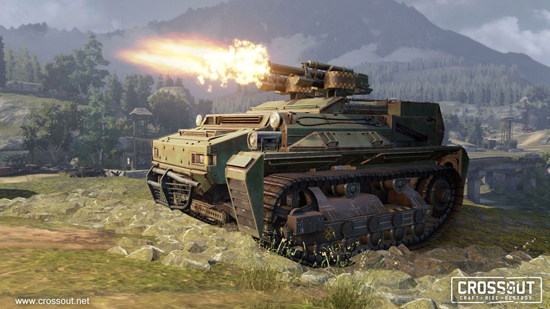 Every player will be able to craft the perfect armoured vehicle as there are no items exclusively available for real money that influence a player's performance in game.